Jenni was previously Chair of Health Education West Midlands and joined the Trust as a Non-executive Director on 1st October 2015. A teacher by profession, Jenni went on to become a senior civil servant before taking up senior director roles in The Highways Agency, The Pensions Service and The Benefits Agency. 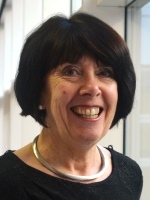 She has worked in a number of executive and non-executive roles in the NHS and wider public sector including Solihull Care Trust and Birmingham & Solihull PCT Cluster. Jenni is passionate about developing great leaders in the NHS and committed to influencing a high quality patient experience for the people of Dudley. Julian joined the Trust in January 2016 as a non-executive director. He has experience in both the public and private sectors, having worked at organisations such as Alliance & Leicester, Marks & Spencer, Solihull Health Authority and the Thomas Cook Group. 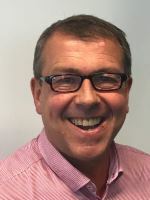 Prior to joining the Trust, he was part of the Executive Leadership Team and Head of Human Resources at Coventry Building Society, where he worked for nearly 25 years. 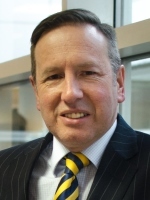 Julian is a Fellow of the Institute of Financial Services and the Chartered Institute of Personnel and Development. He is a Fellow of the Institue for Financial Services and Coventry and Warwickshire Chamber of Commerce’s subsidiary training company. He is also a past President of Coventry and Warwickshire Institute of Financial Services. 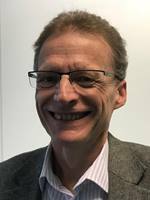 Julian chairs the Charitable Funds and Workforce & Staff Engagement Committees, and is a member of the Finance & Performance and Clinical Quality, Safety & Patient Experience committees. Julian is passionate about delivering excellent customer service through skilled individuals and effective teams. Richard is a Chartered Accountant by background and chairs the Audit Committee. Having joined the Trust in 2010, he is also a member of the Finance and Performance Committee, the Digital Trust Committee and sits on the Board of Dudley Clinical Services Limited. A former partner in national accounting firm PKF (now part of BDO) he was also Group Finance Director at LPC Group plc, at one time the largest independent tissue manufacturer in the UK. 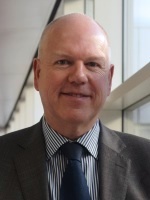 Richard first became involved with the NHS in 2006 as a non-executive director of Birmingham East and North PCT where he chaired the Audit Committee and World Class Commissioning working group. He is currently a director of Enterprise FD Limited, a provider of flexible and interim finance directors to entrepreneurial and ambitious organisations. This also includes his role as Finance Director with Open Study College, one of the leading providers of distance learning materials. Catherine is a writer, speaker, coach/mentor and facilitator, developing the practice of senior leaders. A member of the Golden Egg Academy, she is currently writing a children’s book. Catherine is an associate consultant with ‘Amara Collaboration’, a contributing author to’ Street Smart Awareness’ and ‘Inquiry in Action’; and co-designer and facilitator in transformational leadership development retreats. 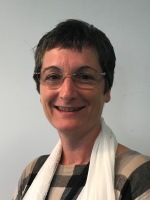 A former social worker and trainer and assistant director in social services, Catherine worked for 14 years in the Probation Service, first as a director for corporate services and later as chief executive of Staffordshire and West Midlands Probation Trust, the second largest probation trust in the UK. Catherine designed and led West Midlands Probation through a successful performance and culture turn-around programme, and project managed the merger with Staffordshire Probation, the new Trust going on to be recognised for excellence and awarded four stars by the British Quality Foundation. Catherine led SWM Probation Trust through extensive and challenging changes brought about by the Government’s Transforming Rehabilitation programme, becoming chief executive of Staffordshire and West Midlands CRC, and later the newly formed Reducing Reoffending Partnership. Mark is a general practitioner of 25 years and is a partner of Moss Grove Surgery in Kingswinford. Mark is passionate about respiratory medicine and is the clinical lead for Dudley Clinical Commissioning Group. He joined the Board in this new role of associate non-executive director in February 2017 and brings a wealth of primary care knowledge to the Board. Quality of patient care is a clear priority for Mark and he has been fundamental in the review of respiratory pathways across Dudley and his work has shaped the respiratory work for the Multi-specialty Community Provider. His expertise is invaluable and provides another clinical expert at the Board. Jonathan is an economist by training and has extensive experience of working at the interface of the public and private sectors as a consultant, regulator and company director in the utilities sector. He has held many director positions throughout his career. As a business consultant Jonathan has advised governments, regulators and companies around the world on industry restructuring, strategy and regulation.